Get instant savings by purchasing an Amami Oshima travel package. Just pick your favorite options and let Expedia do the rest. Savvy travelers can earn savings of up to 40,450 YEN* by booking a package deal on Expedia. With us, you have more than 400 airline partners and 321,000 worldwide properties to choose from around the world, which means your dream vacation is right there at your fingertips! You don't have to worry about postponing your group's travel plans, as we don't charge additional cancellation fees for almost all of our bookings. There's no limit to the number of exciting things you can do when you're somewhere new. So why not get your trip to Amami Oshima off to a great start by having a look at some of our top tips? After all – out there starts here! Kuroshio No Mori Mangrove Park is teeming with unique plant and animal life. Amble along the walkways of this abundant ecosystem and see how many sorts of water and land species you can spot. Still have time to spare? If the young ones are bored with sightseeing and need to run around a bit, why not take them on an outing to Ohama Seaside Park? It's the perfect spot to have a game of catch and chuck a ball around. 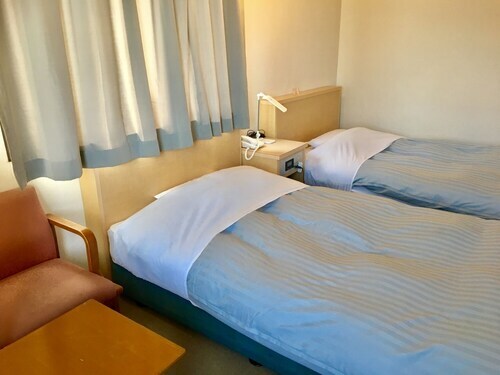 Regrettably, there aren't very many accommodations to choose from in Amami Oshima. The Amami Sunplaza Hotel (2-1 Nase-minatomachi) is the only Expedia-listed property nearby. Amami Oshima Airport (ASJ) is located 18 miles (29 km) northeast of the central area of Amami Oshima. Pick up your bags, hail a taxi and let your well-deserved getaway begin! Located in the heart of Amami, this hotel is within 6 mi (10 km) of Tanaka Isson Historic House, Arimori Shrine, and Ohama Seaside Park. Kuroshio No Mori Mangrove Park and Amami Park are also within 20 mi (32 km). 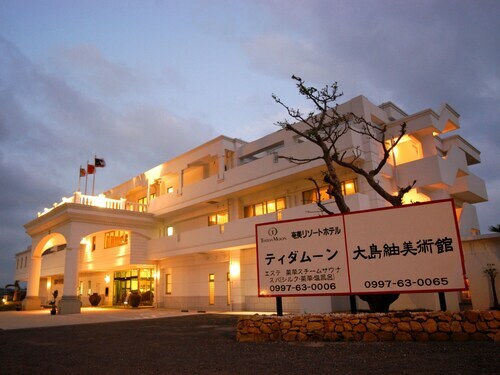 Situated in Tatsugo, this hotel is within 12 mi (20 km) of Amami Park, Sakibaru Beach, and Arimori Shrine. Tanaka Isson Historic House and Ayamaru Cape Tourist Park are also within 12 mi (20 km). 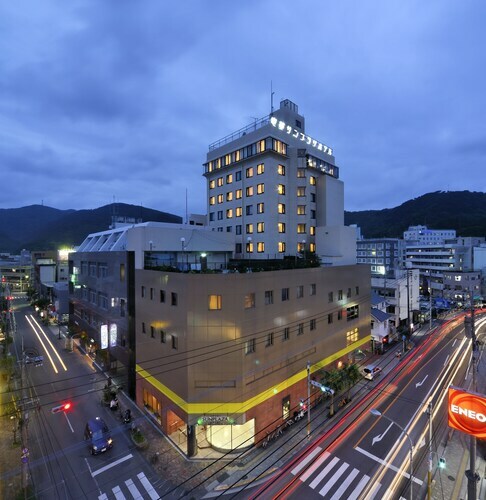 Situated in Amami, this hotel is within 6 mi (10 km) of Tanaka Isson Historic House, Arimori Shrine, and Ohama Seaside Park. Kuroshio No Mori Mangrove Park and Amami Park are also within 20 mi (32 km). 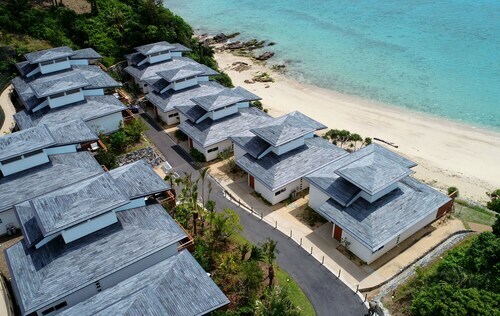 Situated by the ocean, this hotel is 5.7 mi (9.2 km) from Amami Park and within 12 mi (20 km) of Sakibaru Beach and Arimori Shrine. Ayamaru Cape Tourist Park and Tanaka Isson Historic House are also within 12 mi (20 km). 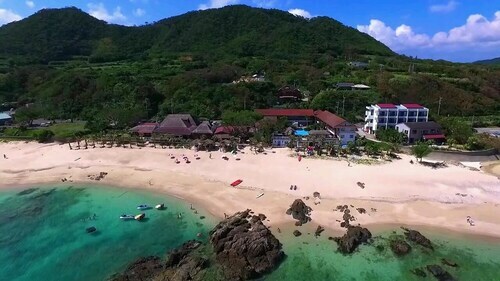 Nestled on the beach, this Amami hotel is within 9 mi (15 km) of Amami Park, Sakibaru Beach, and Ayamaru Cape Tourist Park. Arimori Shrine and Tanaka Isson Historic House are also within 12 mi (20 km). This Amami hotel is on the beach, 1.8 mi (2.8 km) from Amami Park, and within 9 mi (15 km) of Sakibaru Beach and Ayamaru Cape Tourist Park. Arimori Shrine and Tanaka Isson Historic House are also within 16 mi (25 km). 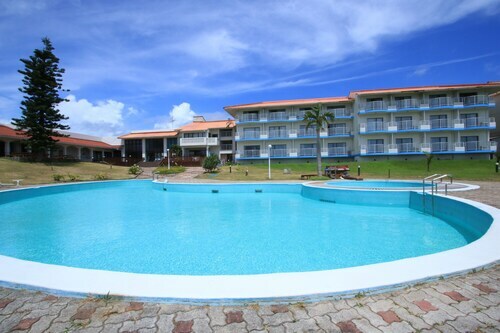 Situated in Amami, this hotel is 1.3 mi (2.1 km) from Ayamaru Cape Tourist Park and within 9 mi (15 km) of Amami Park and Sakibaru Beach. Arimori Shrine and Tanaka Isson Historic House are also within 20 mi (32 km). 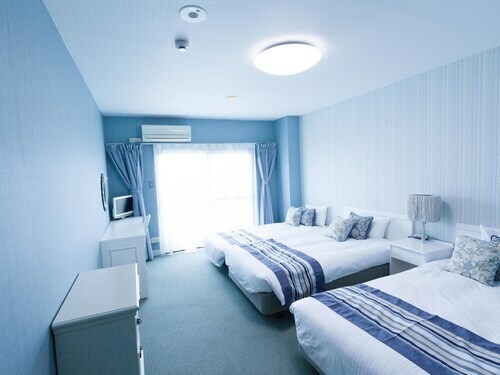 Located in Koniya, this hotel is within 9 mi (15 km) of Mount Yudake, Honohoshi Beach, and Yadoribama Beach. Kuroshio No Mori Mangrove Park and Sanekukai Beach are also within 16 mi (25 km).